Creating complications in an unclear position can force your opponent to make some inaccurate moves. 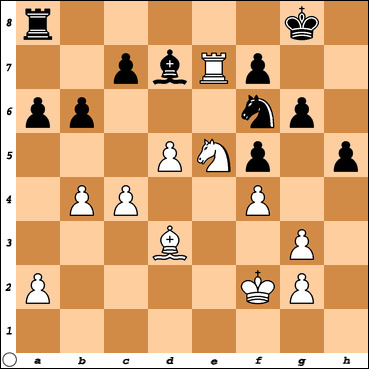 In this game White has played 28 Ne5 putting a double attack on my bishop on d7 and the pawn on f7. If I play 28... Be8 then the pawn on c7 can be captured. So I decided to complicate the position. What move did I make (Black) ?